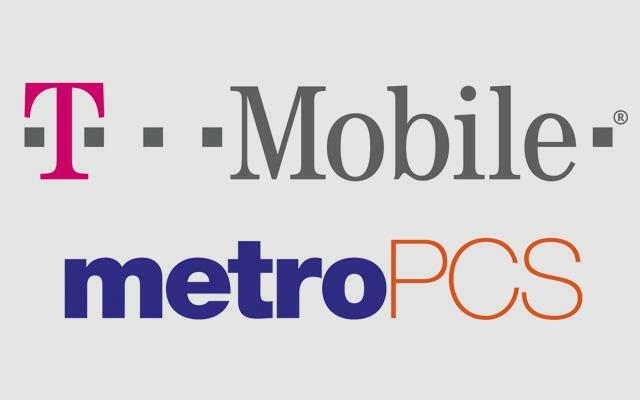 In a completely unsurprising move, the MetroPCS board of directors has announced that they unanimously support Deutsche Telekom’s new merger offer. Deutsche Telekom improved their offer just two days before MetroPCS shareholders were set to vote on the original terms this past Friday. DT amended their offer in fear that two of Metro’s largest shareholders had convinced a large enough block of voters to strike down the deal. The two loudest voices of objection, Paulson & Co. and P. Schoenfeld Asset Management have now come out in favor of the new terms, leading analysts to believe the deal is all but official. The MetroPCS Board of Directors unanimously believes that the amendment significantly improves the value of the proposed combination for MetroPCS stockholders and that the proposed combination is in the best interest of all MetroPCS stockholders. The MetroPCS board unanimously recommends that MetroPCS stockholders vote their shares “FOR” all proposals relating to the proposed combination with T-Mobile. Surprise, surprise. On to the April 24th shareholders vote! ← Samsung “Worried” Build Quality Of Galaxy S 4 Doesn’t Match HTC One? My guess is T-Mobile wants to make Metro PCS their prepaid only brand. That’s probably why they want to expand the Metro PCS brand into more markets. Just a guess. Interesting. Didn’t really think about that. Why won’t the german TRY!!!! I think the t-mo rumor was a bad attempt at grabbing headlines/influence stockowners. If Dish approached t-mobile, it would have been 6 months if not more than a year ago. The fact that they hinted it was being entertained was laughable. DT dumping combined company? Not.. Especially with DT upping their stock commitment from 6 months to 18 months. They can’t just sell off like you seem to think. Thats not an indication of wanting to dump the combined company. Thats them being willing to stick with it for some time. If the Dish deal with Sprint doesn’t work out.. does anyone think Dish would be willing to sell their spectrum to T-Mo? 700 Mhz spectrum sounds nice. I just don’t want T-Mobile and Dish to merge. No, Dish has made it pretty clear it wants to enter into the Wireless market, and selling off their spectrum, which is huge leverage for them, wouldn’t fit their road map. It is 6Mhz of unpaired spectrum. It really would not help Tmobile. Dish would also ruin the progress that legere and co have started. Ergen is like the plague. What -if anything- will this merger do to improve network coverage? T-Mobile gets MetroPCS’s spectrum. More spectrum means more room to expand coverage and improve the quality of LTE/HSPA+. Metro has sites in their markets T-Mobile is not co-located on. T-mobile will build on those sites. Plus the addition of metro 1900 and AWS spectrum to T-Mobile and you have a better network with expanded coverage. Then you add the fact that T-Mobile will be publicly traded and deciding how to spend its own money on the network, (not having to take direction from DT) and brand new cell sites will start to be built again. OMG TmoTech is back! :) where have you been? TMOTECH! I haven’t seen you In quite a while! Welcome back! using a Metro coverage map. still a mystery to me. If someone with knowledge in how this will or won’t affect the entire TMO coverage map can chime in I’d be thankful. T-Mobile is taking over the world. Verizon who??????? Metro pcs customers are credit challenged. The next will be Metro customers waiting for 5s or S4. So if I understand correctly Tmobile’s 4g and 3g towers along with metro’s towers will be upgraded to lte advanced and the 2g (edge) will be upgraded to hspa+ 42 by the end of this year. Is this the plan? Absolutely not. While T-Mobile has already paid to have their egde network upgraded, but its going to take way more than end of year to get that completed. As well, there will still be come 3g or 4g hspa+ areas that will stay that way. As far as LTE, its my understanding, that its just LTE right now and will eventually move to LTE advance. Are there any other large stockholder firms that might step in over the next few days asking for more changes in the terms? Other than that, since the original complaints have been satisfied and the 2 firms are now recommending it, this deal should sail right through. Awwww, what a statement they made. Im guessing it’s a done deal for metro pcs. Meanwhile, HQ continues to lay people off these past few weeks.